In "The War for Korea, 1945-1950: A House Burning", one of our most distinguished military historians argued that the conflict on the Korean peninsula in the middle of the twentieth century was first and foremost a war between Koreans that began in 1948. 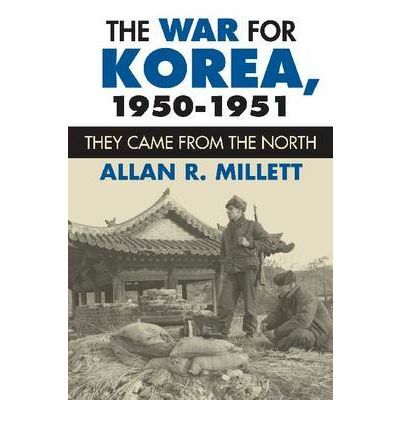 In the second volume of a monumental trilogy, Allan R. Millett now shifts his focus to the twelve-month period from North Korea's invasion of South Korea on June 25, 1950, through the end of June 1951 - the most active phase of the internationalized 'Korean War'. Moving deftly between the battlefield and the halls of power, Millett weaves together military operations and tactics without losing sight of Cold War geopolitics, strategy, and civil-military relations. Filled with new insights on the conflict, his book is the first to give combined arms its due, looking at the contributions and challenges of integrating naval and air power with the ground forces of United Nations Command and showing the importance of Korean support services. He also provides the most complete, and sympathetic, account of the role of South Korea's armed forces, drawing heavily on ROK and Korea Military Advisory Group sources. Millett integrates non-American perspectives into the narrative - especially those of Mao Zedong, Chinese military commander Peng Dehuai, Josef Stalin, Kim Il-sung, and Syngman Rhee. And he portrays Walton Walker and Matthew Ridgway as the heroes of Korea, both of whom had a more profound understanding of the situation than Douglas MacArthur, whose greatest flaw was not his politics but his strategic and operational incompetence. Researched in South Korean, Chinese, and Soviet as well as American and UN sources, Millett has exploited previously ignored or neglected oral history collections - including interviews with American and South Korean officers - and has made extensive use of reports based on interrogations of North Korean and Chinese POWs. The end result is masterful work that provides both a gripping narrative and a greater understanding of this key conflict in international and American history.